At Center for Spiritual Living, Davis you are always welcome to participate (or you can lurk in the back and talk to no one). We are an inclusive community and we want you involved in whatever way works best for you. Participation in spiritual community is something that enriches our lives immeasurably. Friendships develop, spiritual growth takes off, and it just plain feels good to be part of something that is bigger than ourselves, and that is also of benefit to all of our fellow sentient beings. If you have any questions or need more information, please call (530) 302-5738. Sunday services take place weekly throughout the year and occur rain or shine through all seasons. This is the main event of Center for Spiritual Living Davis that offers an opportunity to get weekly spiritual inspiration as well as an opportunity to stay in touch with others in the community. Get maps and directions. The Center offers a variety of different events (see the event calendar for upcoming events) throughout the year that are open to all. These include social events such as the First Fruits Festival and the Thanksgiving dinner. In addition, there are entertaining events such as spiritual cinema. For those who would like to connect with people from New Thought spiritual centers around the country and the world, there is CSL Convention which takes place in a different city each year and other retreats. Participating in workshops (see the event calendar for upcoming workshops) is another great way to connect with others in the community through a one-time experience of 2-4 hours (or occasionally full day). Workshops are a great way to get exposure to a particular area of spirituality and provide an option for those who find it difficult to commit to an on-going class. Similar to classes, workshops provide an intimate environment to get to know others in a sacred setting. Center for Spiritual Living Davis offers many unique classes designed to support your spiritual growth and to allow you to gain a greater sense of spiritual fellowship with others in the community. Many people feel like they really bond with people in the classes. Classes on average are 8-10 weeks in duration. There are certificated classes which are standard options developed by our parent organization, Centers for Spiritual Living. These classes are transferable to any affiliated spiritual center around the world and can be used as credits toward licensed practitioner training. The Science of Mind Foundational class is the prerequisite for all certificated classes. Non-certificated classes are also offered and have no prerequisites. These classes are generally not transferable to other centers, but are just as valuable in terms of the content and experience offered. The Center for Spiritual Living, Davis partners with several other smaller centers in northern California to offer online classes co-facilitated by multiple ministers. Recently, our Northern California Online Ministries (or NorCal OM) has facilitated Foundations, Practical Mysticism and Beyond Limits. 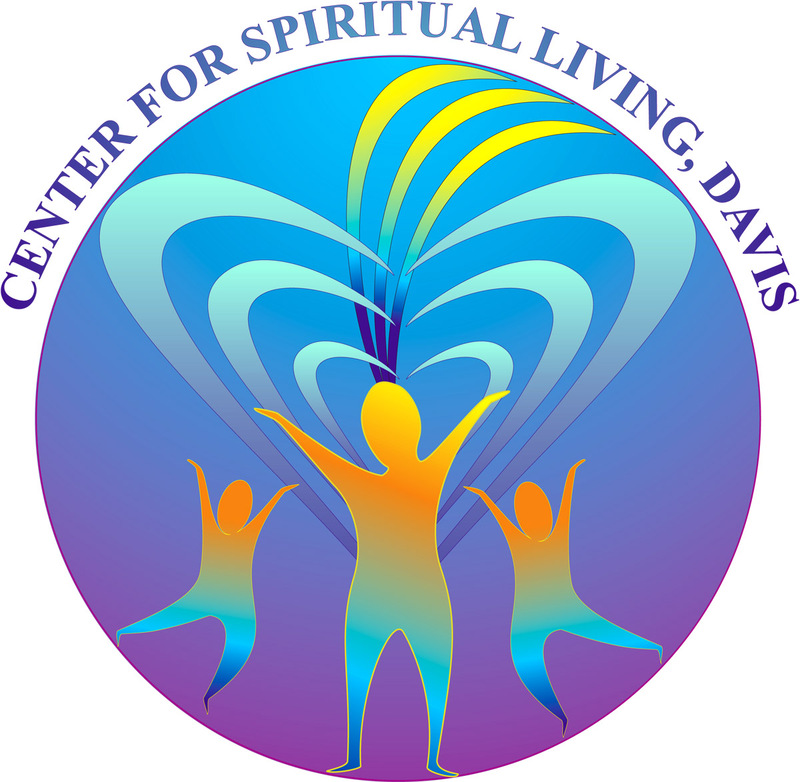 Center for Spiritual Living Davis uses the spiritual practice of “visioning” in all of its activities to open to a higher spiritual vision. This practice enables us to tap into divine wisdom. In addition to the visioning that takes place for specific ministries and activities, the entire community is invited to participate in regular visioning for the Center as a whole. This is another opportunity to connect with others in a sacred setting while being of service. Often participants find that they get greater clarity for their own lives at the same time. Community visioning events happen occasionally and will be posted on the event calendar. For those who would like to volunteer, but may not be ready to commit to an ongoing ministry, there are also one-time opportunities as short as 1-2 hours. These opportunities usually are associated with an event, such as the annual Whole Earth Festival where Center for Spiritual Living Davis stages a booth staffed by volunteers in 1-2 hour shifts. Volunteering in sacred service is one of the most rewarding experiences one can have in life. Center for Spiritual Living Davis has nearly 20 different ministries that all have volunteer opportunities, including, choir, usher core, member services, etc. To find out about specific options, you may contact the appropriate person listed in our Sunday program or call (530) 302-5738. Volunteers usually feel very much a part of the community and find that they connect easily with others in the community. Once you are a member, you may login in to our emerging e-members Only portal to download free brochures, listen to previous talks and other premiums. This is open either to voting members of the Center for Spiritual Living Davis or to online monthly subscribers. The cost to subscribe is $10 per month. Members are encouraged to also subscribe. Content is updated and added monthly. A beautiful way to serve the community with your gifts and talents is to become a member of the Board of Trustees. This group sets policies and direction for the spiritual community in conjunction with the Spiritual Director who is also a member of the Board of Trustees. To join the board, one must be a member of Center for Spiritual Living Davis for at least six months and have completed the Science of Mind Foundational class. Licensed Religious Science practitioners are part of the ecclesiastical branch of the community, supporting the minister in the Sunday services, teaching classes, and offering prayer and spiritual counseling. In order to become a licensed practitioner one must complete a minimum of 120 class hours of certificated classes followed by two years of dedicated practitioner training. Center for Spiritual Living Davis is affiliated with Centers for Spiritual Living (CSL). CSL offers many opportunities to get involved in shaping our movement where you get to work with people from other spiritual centers around the globe.